There are a lot of homeowners today that are considering going for the DIY projects because they find it fun and it can save money, too. However, it would be better if they were doing it only on the easier projects such as cleaning the sink and making it sparkle as though they had just bought it from the store, or making the whole bathroom white again because it was covered in mold and mildew. But when it comes to taking care of your roof, replacing or repairing it requires the hands of a skilled professional. Nevermind the video that you saw online, those people are capable of hard labor that they have experienced for many years. They have made mistakes, undergone professional training and have been involved in this kind of business for many years, which is why they are called professionals, and it is also another reason why they offer their services for a fee. If you haven’t thought of it that much, just try repairing or replacing your roof material on your own for an hour. You will realize how difficult it is. Fixing the roof, whether it is repairing or replacing it, is a dangerous and tedious job. The experience you have is incomparable to the one professionals have undergone. If you have zero knowledge about roofing, this means that you have no idea where to find the best materials for your roof. How about the type of roof you have, are you able to define it? If not, then that is another sign that you are not capable of doing the roofing project on your own. The techniques and skills the professionals have attained over the years are what makes them capable, which is why it is better to leave the job to them. What’s more, you will be surprised as to how cheap most of their services are and that you don’t need to worry about being flooded by rain because of a poor job. Talking about a poor job, you will be amazed as to how there is a benefit of hiring a professional. When they do a poor job with the roof of your home, you can call them again, and they will do it for free. There is an insurance attached to the contract, you see. You have agreed to the contract which means that whatever mistake the contractor has done, they are responsible for it. There is a time limit to how much you can avail this free service, but insurances usually last during the entire process of the job. Some insurances last for a year. You just need to read the agreement in order to see the responsibilities of the contractor. 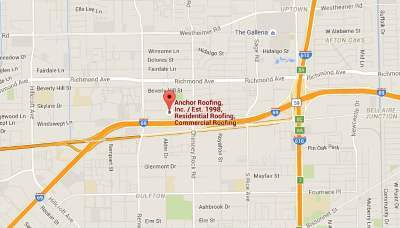 The time it takes to repair or replace a roof is much quicker in the hands of a professional Houston, TX contractor. If you were going to do it on your own, how long would it take you to finish it? Depending on the scope of the work, most professionals can repair or replace your roof within a day.